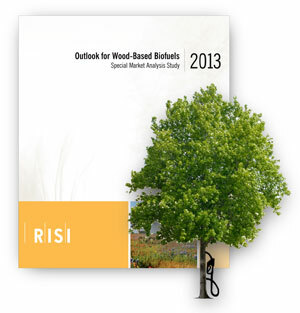 Outlook for Wood-Based Biofuels - Fastmarkets RISI - Objective Insight. Better Decisions. A detailed review and outlook for the emerging North American and European wood-based biofuels markets. Wood-based feedstocks are expected to play a key role in the production of advanced biofuels over the next five to ten years in North America and Europe. Competing for the fiber available for wood pulp, biofuels present both a threat to and an opportunity for the pulp and paper industry. Biofuels will use many of the same sources of fiber as conventional forest products, which could increase the cost of that fiber. Subsidized through tax incentives in Europe and North America, biofuels companies could be very competitive compared with pulp and paper producers, in terms of their ability to pay for fiber. This also presents an opportunity for product development and diversification for pulp and paper producers, who have well established woodfiber supply chains, and for forest and timber plantation landowners, to supply this emerging market. Outlook for Wood-Based Biofuels projects subsidy levels and biofuel capacity development to 2022. It will help you understand the emerging wood-based biofuels market and the policy that is driving it in the US, Canada and the European Union. Finally, the study reveals how the woodfiber markets in North America and Europe will be impacted by the increased demand for wood-based biofuels. Outlook for Wood-Based Biofuels provides a concise, yet in-depth analysis of the emerging wood-based biofuels market and the drivers behind it. The study helps you evaluate investment decisions with a detailed financial model, which includes income and cash-flow statements to evaluate the future profitability of various biofuels facilities, across regions, and with customizable criteria. 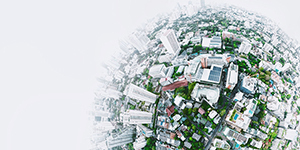 Available in spreadsheet format, this allows you to run your own scenarios and see how you can maximize the opportunities from this emerging market. Technology, business plans, feedstock, facility locations, timelines, etc. Fastmarkets RISI’s team of economists and editors have over 25 years of experience serving wood fiber consuming industries in North America and internationally with market analysis, economic forecasts and pricing information. Fastmarkets RISI’s Bioenergy services and publications include the Wood Biomass Market Report, a monthly market and pricing publication, as well as the 5-year North American Bioenergy Forecast, first published in 2008 and the 2011 special market analysis study, the European Biomass Review. In addition, Fastmarkets RISI’s bioenergy team, has compiled the most thorough database of North American and European wood biomass projects, and has been contracted to perform special consulting projects spanning the entire supply chain, for numerous global industry and government agencies.